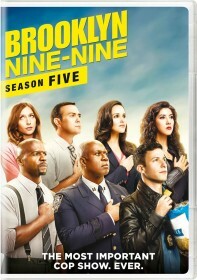 Universal has put out the press release for the upcoming Brooklyn Nine-Nine: Season 2 DVD. The three-disc box-set is set to be released on Tuesday, September 8 in the United States. The three-disc release includes all twenty-three episodes from the show's latest season along with deleted scenes from the episodes. In the United Kingdom and Ireland, the Season 2 DVD will be released on Monday, September 28.